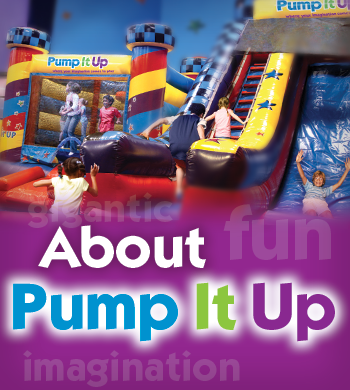 Pump It Up of Chula Vista opened in 2004 and specializes in private, indoor birthday parties for kids. 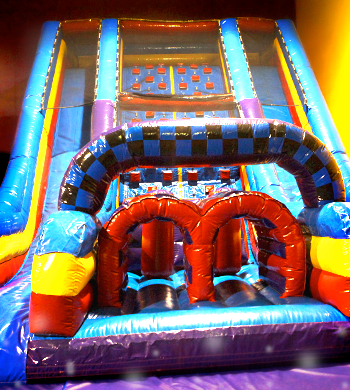 From our indoor giant inflatables filled partyy areas, to our private party room, our staff takes care of everything for your event: all you have to do is coordinate a group of kids who want to have an awesome time! We also specialize in fabulous holiday and theme events. At Pump It Up we love to celebrate Halloween, Noon Year's Eve, Valentines Day, St. Patricks Day and Mardi Gras. During the summer we have a July Luau, 80's Parties, and Karaoke nights. Check out our events calendar to see what is coming next!